Want to get in shape, but need a little motivation and accountability? Paige has experience with training women who are battling weight loss issues and want to make a change. As a female personal trainer Paige, understands the struggles and challenges women go through and can recommend a specific fitness solution to your situation. Want to lose weight, tone up and get healthier? Great! Paige has a weight loss program to further your weight loss journey. She can tailor a program to your fitness and nutrition goals whether you are beginner or want to shed those final 15 pounds. Recovering from a knee surgery or diastasis recti? Not a problem. 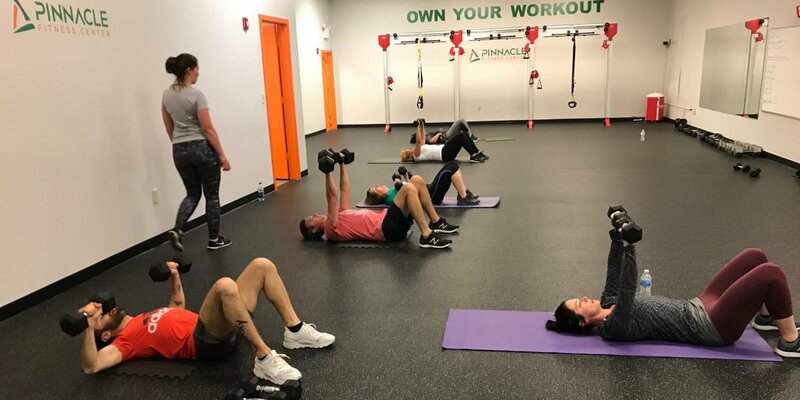 Every Pinnacle Fitness Center certified personal trainer is qualified in creating personalized programming from your ongoing fitness assessments. Paige has worked with special populations and is a pro at personalizing each session to achieve a favorable outcome. Ready to get started? Great claim your personal training slot right away.